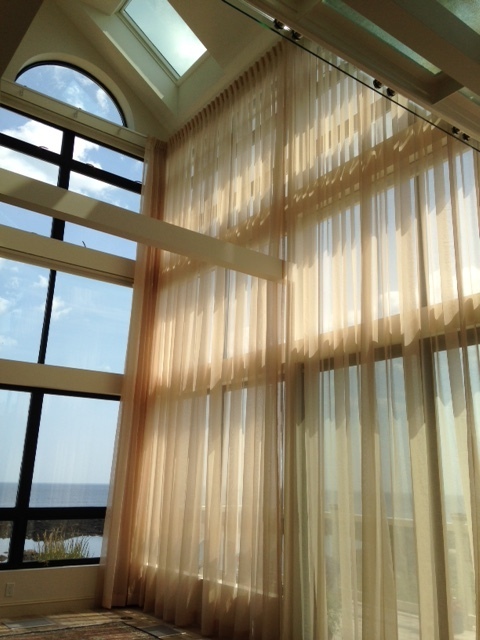 Draperies, curtains, custom window treatments in southern Maine. We offer custom design and work room services for your window covering needs. Whether it's privacy, room darkening, sun filtering or just an updated stylish design, Cloth interiors is the place for you. We will take special care in guiding you through the process so your window treatments will work well & look fantastic.